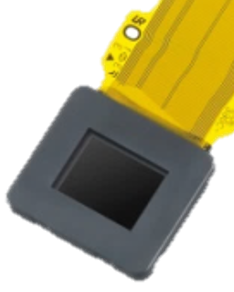 The ECX339A OLED Microdisplay is featuring UXGA (1600 x 1200 resolution), the highest in class for a 0.5-type. This product achieves the world's smallest pixel pitch of 6.3μm by leveraging Sony's OLED display technology and miniaturization technology, enabling a resolution 1.6x higher than the previous model. Ссылки на другие веб-сайты "ECX339A"